Rheumatoid arthritis: Reduces joint pain, soreness, stiffness, fatigue. Heart attacks: Cuts the odds of subsequent heart attacks by one-third. Clogged arteries: Keeps arteries open and clear. Eaters of fatty fish have less atherosclerosis. Reduces risk of reclosure of arteries after angioplasty surgery by 40 to 50 percent. High blood pressure: Eliminates or reduces the need for pharmaceutical pressure-lowering medications. 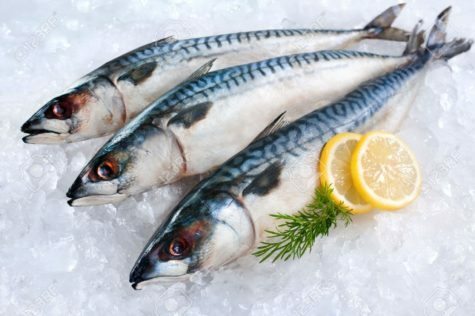 Ulcerative colitis (inflammatory bowel disease): In one test, eating 4.5 grams of fish oil a day – equal to that in seven ounces of mackerel – for eight months depressed disease activity by 56 percent. Psoriasis: Reduces itching, redness, pain in some patients, and cuts the amount of medication needed. Multiple sclerosis: Helps reduce symptoms in some patients. Asthma: Curtails attacks in some individuals. Migraine headaches: Lessens severity and frequency in some sufferers. New research underscores the enormous lifesaving power of fat in fish. Eating fatty fish can directly intervene to save people from death and disability from heart attacks. Studies have found that atherosclerosis – diseased and clogged arteries – worsens, the less marine oil a person eats. 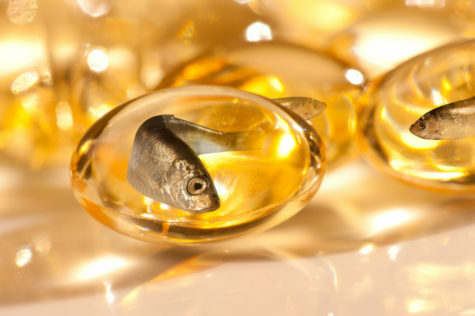 Dr. William E. M. Lands,a pioneering researcher on fish oils, has developed a formula that he says can precisely predict an individual’s odds of heart attack; a simple finger-prick test measures a person’s blood ratio of omega-3 and omega-6 fatty acids. The higher the proportion of marine omega-3s to omega-6s, the lower the risk of heart attack. Similarly, studies reveal that a high ratio of omega-3 fatty acids to omega-6 fatty acids in the blood cuts your chances of cancer. Although it’s largely unappreciated, our over-consumption of omega-6 oils, prevalent in margarine, salad oil, cooking oil and processed food, is helping create a health disaster. 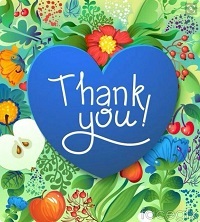 It is true, heart authorities first encouraged the widespread use of such vegetable oils to lower blood cholesterol, not suspecting the oils could have detrimental effects on other aspects of health, such as fostering inflammatory diseases, lowering immunity and promoting cancer. Such omega-6 oils are well-documented villains in augmenting cancer incidence, cancer spread and deaths in laboratory animals. The only way to correct this abnormal and alarming fat imbalance in cells is to cut back drastically on foods rich in omega-6s and increase the intake of marine omega-3s, say experts. The impact is almost immediate. Within 72 hours, you can see a beneficial biochemical impact in tissue by eating three and a half ounces of fish a day, studies indicate. 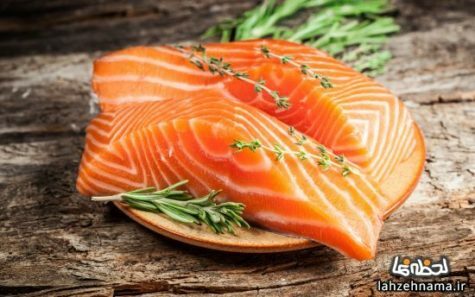 Research shows that eating just an ounce of fish a day may help restore our cells to healthy functioning, saving countless people from disability and premature death inflicted by the unimagined consequences of fat’s pharmacological powers. Very quickly after you eat fat, it shows up in the membranes of your cells where its metabolic fate is determined. Although fatty acids come in many subtle variations of molecular arrangement, two major categories are most important in making elcosanoids, (a family of powerful, hormone-like compounds produced in the body from Essential Fatty Acids). These two major categories are omega-3 fatty acids, concentrated in marine life as well as a few land plants, and omega-6 fatty acids, concentrated in land-based vegetable oils such as corn oil, safflower and sunflower oil, as well as in animal foods raised on land-based feeds. When you consume land-based omega-6 fatty acids from a piece of meat or corn oil, they are apt to be changed into a substance called arachidonic acid, which in turn spawns substances that are highly inflammatory or promote blood stickiness and blood vessel constriction. Fat from seafood is radically different and more benign. Its omega 3 fatty acids are apt to be converted into substances that counteract blood platelet clumping, dilate blood vessels and reduce inflammation and cell damage. Since food is made of mixtures of omega-3s and omega-6s, obviously these two fatty acids are continuously giving contradictory instructions to cells. Which prevails – those for health or those for disease – depends on the ratio of the two fatty acids in your diet and hence your cells, says William E. M. Lands, PhD., a pioneering researcher on fish oils and formerly a professor of biochemistry at the University of Illinois at Chicago. If your cells are flooded with omega-6 fatty acids, the resulting oversupply of overactive prostaglandins is apt to run amok, generating disease. If you have sufficient omega-3 fatty acids, they can check or cool down the archidonic engine that is spewing out the disease-producing eicosanoids. It is smart to eat fish, especially fatty fish such as salmon, sardines, mackerel, herring and tuna, at least two or three times a week. Research shows that eating just an ounce of fish a day may help restore our cells to healthy functioning, saving countless people from disability and premature death. Rheumatoid arthritis – Reduces joint pain, soreness, stiffness, fatigue. 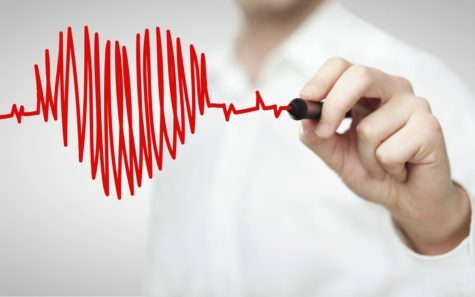 Heart attacks – Cuts the odds of subsequent heart attacks by one third. High Blood Pressure – Eliminates or reduces the need for pharmaceutical pressure-lowering medications. Ulcerative colitis (inflammatory bowel disease) – In one test, eating 4.5 grams of fish oil a day (equal to that in 7 ounces of mackerel) for 8 months depressed disease activity by 56 percent. Another test reduced need for prednisone, a steroid, by one third. Psoriasis – Reduces itching, redness, pain in some patients, and cuts the amount of medication needed. Multiple Sclerosis – Helps reduce symptoms in some patients. Asthma – Curtails attacks in some individuals. Migraine Headaches – Lessens severity and frequency in some sufferers. The number one advice to keep heart disease away has to be eat more fatty fish, high in omega-3 fatty acids – at least an ounce a day or a fish serving 2 or 3 times a week. Also go heavy on garlic, onions and all kinds of other vegetables and fruits to keep plenty of antioxidants in the blood, as well as anticoagulants that protect arteries from clogging. Shun fatty animal foods, such as high fat meat and dairy products. 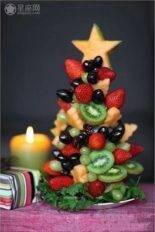 Use olive oil and canola oil. If you drink alcohol, a regular dose of a drink or two a day, especially of wine with meals, may act as antidotes to heart disease, but if you do not already use alcohol, do not start drinking, because the dangers can well outweigh the benefits. If you drink more than two drinks a day, cut down. Heavy drinking harms your heart and your general health and boosts chances of death. Restrict coffee to a couple of cups a day if you have heart beat irregularities. There is no known advantage to switching to decaf to prevent heart disease. Such advice is doubly important if you have already had a cardiovascular problem. 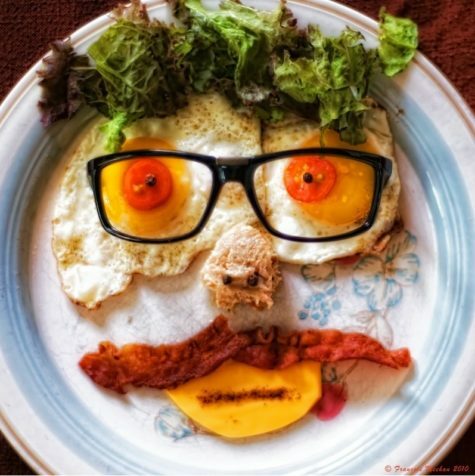 “Second-chance diets” can intervene to prevent further damage to arteries, staving off subsequent heart attacks, strokes and other cardiovascular events. Eating garlic regularly can deter artery-clogging, and more remarkably, even reverse the damage, helping heal your arteries, says Arun Bordia, a cardiologist at Tagore Medical College in India. Dr. Bordia, a pioneering garlic researcher, discovered that feeding garlic to rabbits with 80 percent arterial blockage reduced the degree of blockage, partially restoring the arteries to health. He then tested garlic on a group of 432 heart-disease patients, most recovering from heart attacks. Half the group are two or three fresh raw or cooked garlic cloves every day for three years. They squeezed the garlic into juice, put in in milk as a “morning tonic” or ate it boiled or minced. The other half ate no garlic. After the first year, there was no difference in the rate of heart attacks between the groups. In the second year, however, deaths among the garlic eaters dropped by 50 percent and in the third year, they sank 66 percent! Nonfatal heart attacks also declined 30 percent the second year and 60 percent the third year. Further, blood pressure and blood cholesterol in the garlic eaters fell about 10 percent. Garlic eaters also had fewer attacks of angina – chest pain. There were no significant cardiovascular changes in the non-garlic eaters. Dr. Bordia suggests that, over time, steady infusions of garlic both wash away some of the arterial plaque and prevent future damage. Garlic’ main weapon is probably a conglomeration of antioxidants. Garlic is said to possess at least 15 different antioxidants that may neutralize artery-destroying agents. Note: Cooked garlic was as effective as raw garlic in warding off heart attacks and deaths, according to Dr Bordia. 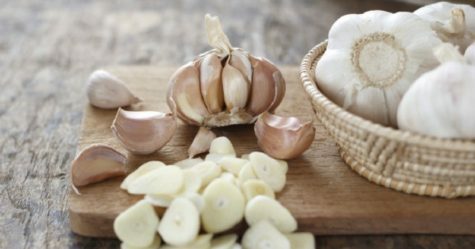 A Garlic Bonus: The garlic also produced unexpected health benefits. Dr. Bordia said the garlic eaters reported fewer joint pains, body aches and asthmatic tendencies; more vigor, energy and libido; and a better appetite. Particularly impressive was the diminished joint pain in those with osteoarthritis. Five percent dropped out of the study, however, complaining of burning urine, bleeding piles, flatulence and irritability. Eating raw garlic elicited more complaints than eating it cooked.